When I briefly tried the AmorePacific cushion compact, I was infatuated and disappointed at the same time. I loved the glow-y finish with a perfectly skin-like feel, but couldn't make even the lightest color offered here in the U.S. work for me. So you can easily guess I was over the moon happy when Peach and Lily sent the IOPE Air Cushion XP in N21, which is an awesome color match for me. 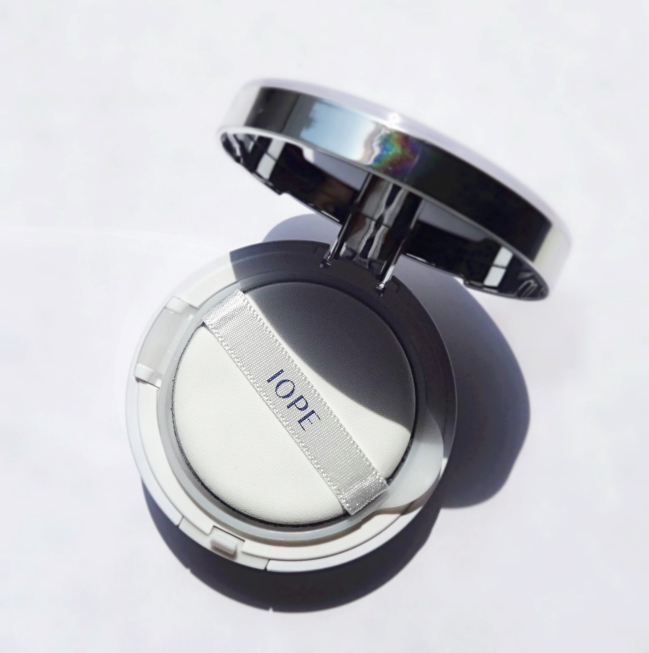 IOPE Air Cushion is "the cushion compact" that started it all, and it is still very popular in Korea now when there are a lot more cushion compact options available. It is called "6 second compact" as they say one is sold every 6 seconds. I have been wearing it for 7 straight days now, and I can confidently say this is everything and beyond of what I fantasized about Korean cushion makeup. First of all, let me say it is such a relief to have found a reliable site for Korean beauty that is based in the U.S. I looked at some other options like eBay and Amazon sellers and even considered buying directly from GMarket (it is the biggest open market source in Korea and ships internationally). But then I'd have to deal with a heck of shipping (GMarket only ships via EMS), a longer wait, or even worse, a possibly fake one (due to the high demand and popularity, there have been major counterfeit issues reported very recently)! 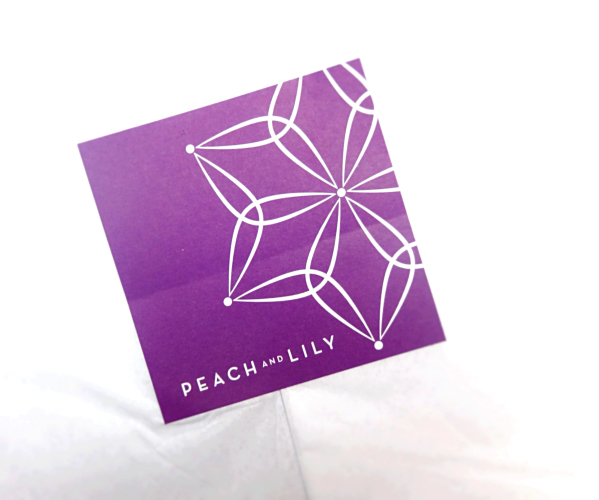 Not only is Peach and Lily based in the U.S, but also they have well-curated selections of Korean beauty products mainly focused on skincare. Being a native Korean, I could quickly see they are offering hand-picked cult-favorites that are currently "happening" in Korea as well as the steady-sellers. But more importantly, everything is priced reasonably especially when I consider the fact that some of the skincare products weigh much more, which is often reflected in the imported price. I've done some maths and I found this site is probably the best domestic option there is in terms of shopping for imported Korean skincare. Love the clean minimal packaging (although it is bulky due to the sponge and the airtight lid inside). And it comes with a refill. I think half the credit should go to invention of this sponge, because it really makes all the difference in the world. 1. Use after removing the film attached. 2. Make sure to close the lid tight after each use. So I removed the film.. I wanted a sheer and even coverage so I chose N21 Ice Vanilla, which I'd say is yellow-based but fairly neutral. There are N21, N23, C21, and C23 available on Peach and Lily. N stands for "Natural" whereas C is for "Coverage"(not for cookies), if you're wondering. The color looks darker from the pan than what it is. I think this is quite common in cushion makeup. 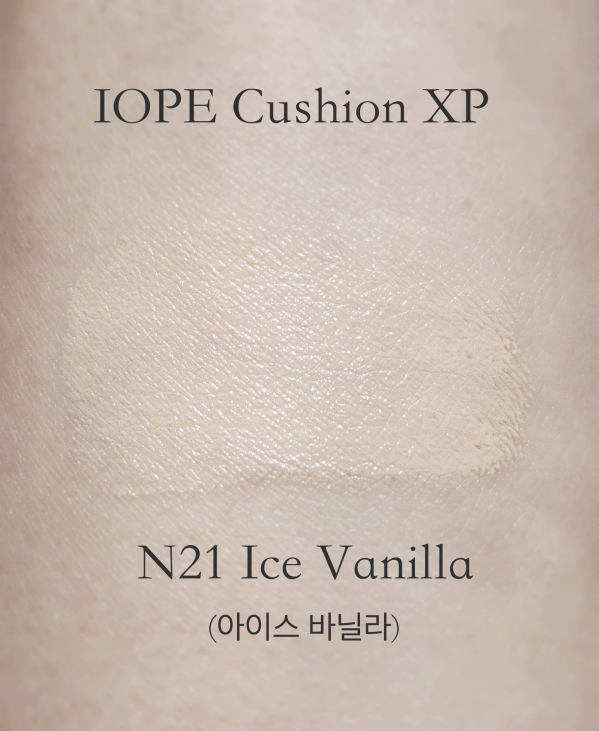 As you see, N21 Ice Vanilla is an excellent match for my skin tone. The naturally dewy finish is truly gorgeous. The light coverage is enough for me since I don't want that mask-y feel. My freckles and sunspots still show through but my whole face is evened out beautifully that I can skip concealing. 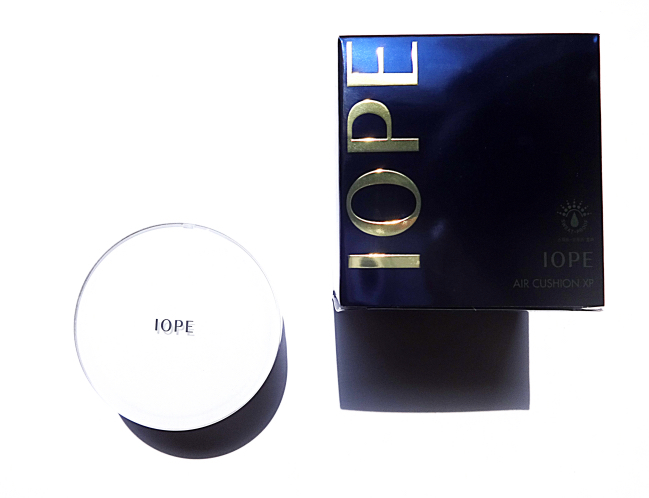 Lately my skin has been drier but it feels comfortable with IOPE Air Cushion XP. I would say it is ideal for normal/combination skin. Because of the current hot weather, I still dust a bit of loose powder on my T-zone, but I don't think I'd need that in the cooler months. 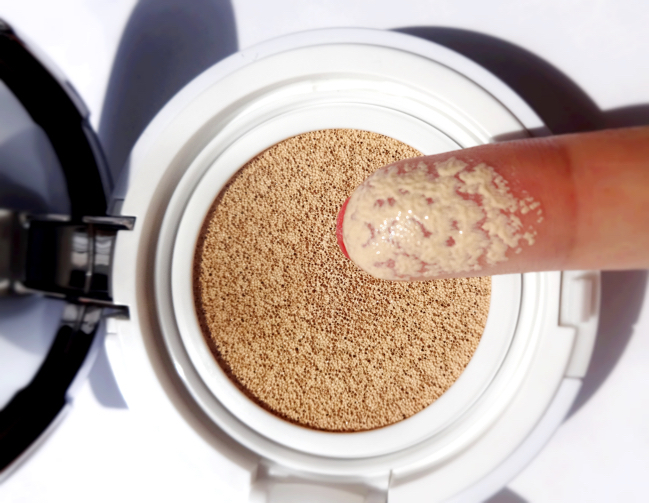 I love that the foundation is deposited on the skin without disrupting the sunscreen layer not to mention the foundation itself comes with a high sun protection (SPF 50 PA+++). It is perfect for both color and sunscreen touch-ups, I don't even mind carrying the cubby compact with me. The only thing I dislike is..the scent. It has a quite strong floral fragrance which is often the case in Korean makeup. It lingers for about 15 minutes after application and dissipates. Here is an overall look with IOPE Air Cushion XP N21. I am only wearing the IOPE Air Cushion here. No powder nor highlighter was worn. 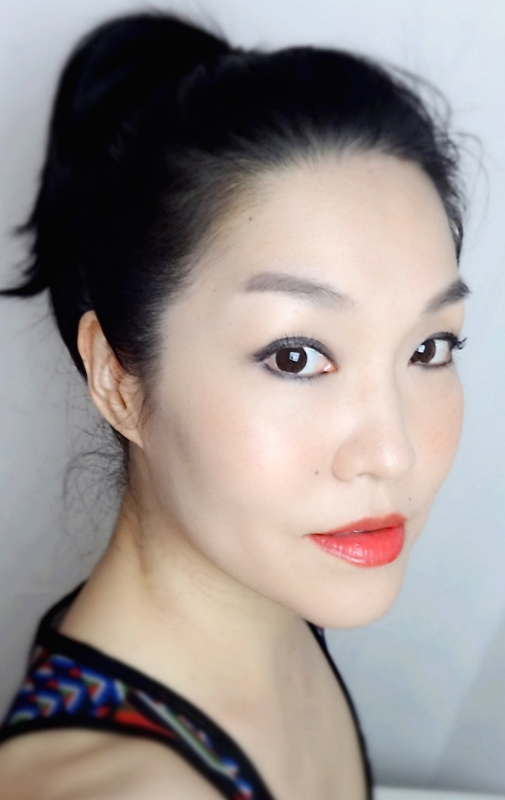 I am completely satisfied with my first real experience in Korean cushion makeup, and planning to repurchase when I run out. Peach and Lily has the UV Mist Cushion from Hera (which is also under AmorePacific umbrella), and I hope it would be back in stock by the time I need a new one. Hope this is helpful for those who have light skin tones like me and want to try Korean cushion compacts. For your reference, I am about NC15-20 and N21 is quite perfect. Looks amazing on you, Lena! 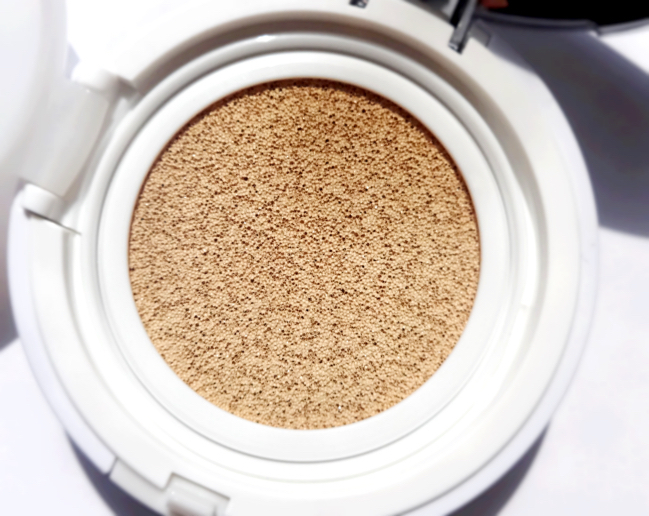 I've only tried the Laneige BB Cushion in the lightest shade offered on the US market (I mean, at Target) and unfortunately, it was significantly too dark for me. Good to know there are other cushion options! Hi Lena, I'm glad you like this too! This is the only cushion I've tried so far, and I didn't feel the need to try others. 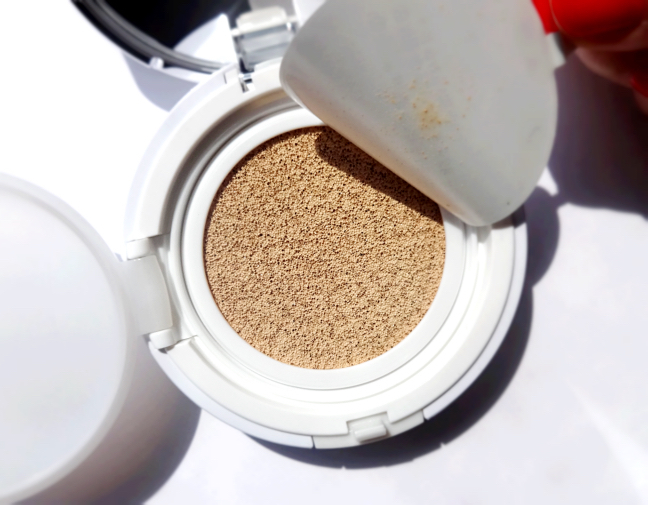 Looks like we have very similar skin tones too :-) This IOPE cushion foundation holds up very well in the tropics with hot and humid weather, so in my books, it's amazing. Isn't it great that it doesn't cake up no matter how much you pile on? I got a little curious, and went a little mad, and you know what? No caking. LOL! I am still curious about the Hera one which is supposedly a slightly higher-end than IOPE, but I agree with you. If not curiosity, I'm pretty happy with the IOPE! So, so happy that you liked your first cushion compact! 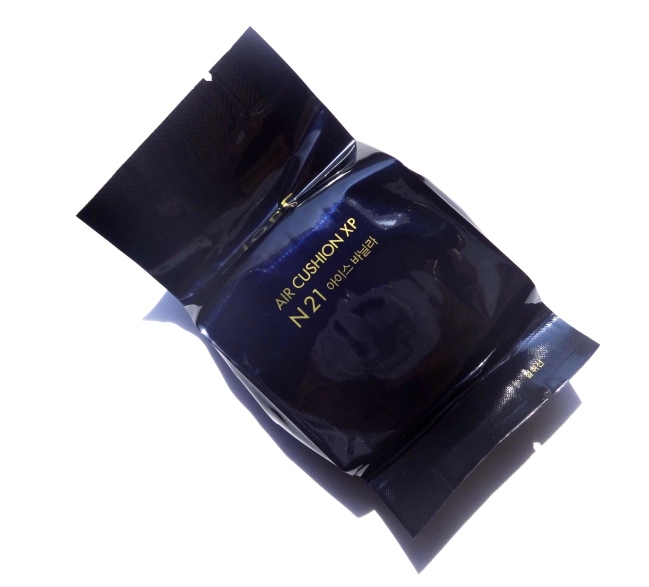 You look gorgeous by the way - N21 makes you look radiant! 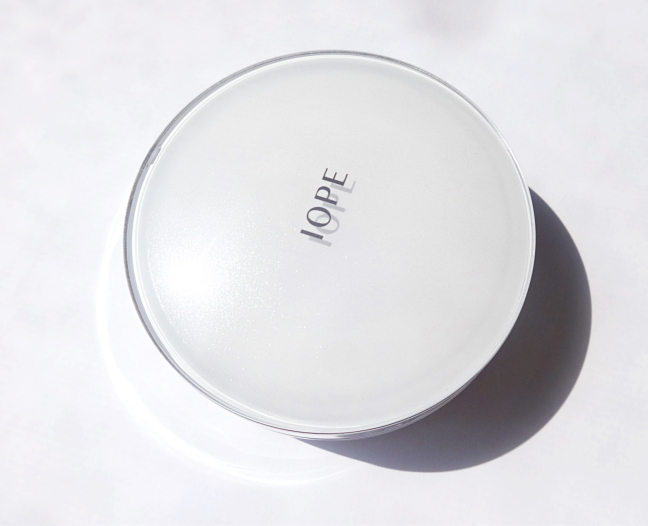 The IOPE cushion has got to be one of the more dewy custions that I've tried. Hera is next on my list to try - I've heard that it's good for drier skin types. I thought about just getting what's avail in the U.S., but I'm so glad it worked out! Thank you so much! Wow that's an amazing shade match for you! I have the same and love it but unfortunately due to my summer tan the shade is now way off for me, so will have to wait until winter to enjoy this again. This one is almost made for your skin tone, even the undertones match beautifully. I haven't heard about Peach & Lily but not thanks to you I will check it out. I ordered my Laneige from a website in Korea and when it came will all the samples I was so surprised. The package was one product 5 samples or something hahaha. Oh nice! The shade is such an amazingly good match, and I'm glad to hear the formula is what you want it to be! The first cushion I tried is the Lancome one but that really wasn't a great experience, so I am a little hesitant to try another one! Yeah, I send the U.S. version of Lancome cushion to my mom (she wanted it anyway although I told her the Korean ones are probably much better), and she said she would stick with Hera or Sul Hwa Soo from now on. LOL. Ok, I NEED this! I think we're pretty close in skin tone! I'm going to have to get Marky to order this when she's in California for me! Looks perfect on you! looks gorgeous on you!! very nice coverage!! and i love the glow!! Thank you, Oreleona. I love that I don't even need to highlight my face with this. I've always wanted to try the IOPE cushions but they're a bit pricey :x glad to know it's a great product even with the hefty price! Let us know what you think if you decide to try it! Actually, IOPE is par with Lancome in terms of brand values and targeted audience, so I think the price is more than fair especially when it comes with a refill. Lancome one doesn't! Let's hope AmorePacific lightens up (literally) and put in less fragrance in the future! Haha. Thank you, Liz! I also used tilt and shift on the pic, which seems to make a pic look cool..? I think I agree with you on AmorePacific being similar to IOPE. I mean, Hera or Sul Hwa Soo would be closer to AP being higher-ends, but pretty much it is a few minor ingredients difference and really about brand image. I'm not 100% that Lancome sponge isn't antibacterial but they never talk about it while raising big time hype, so it's safe to conclude that they haven't the technology. Makes the whole cushion idea useless and gross. That's a shame. I actually didn't even doubt that Lancome one wouldn't have a refill inside because it is such a standard for cushion makeup. Also, I've read some comparison reviews and the sponge inside also is very different. Korean ones are much finer. 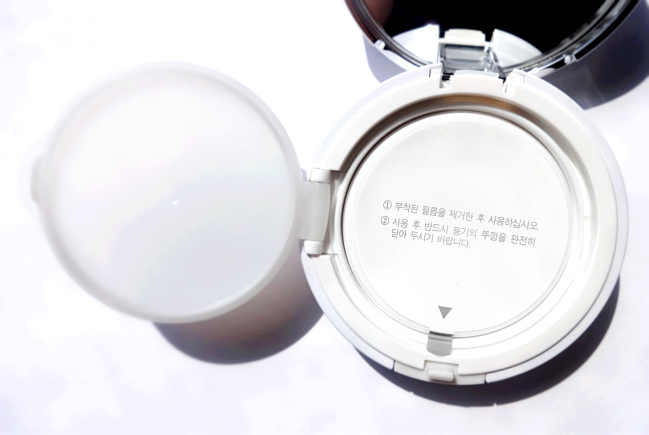 Hera just introduced an anti-aging cushion compact (in a sleek black packaging) and they claim that they have upgraded the applicator, so Lancome has much to catch up. I absolutely love this on you. 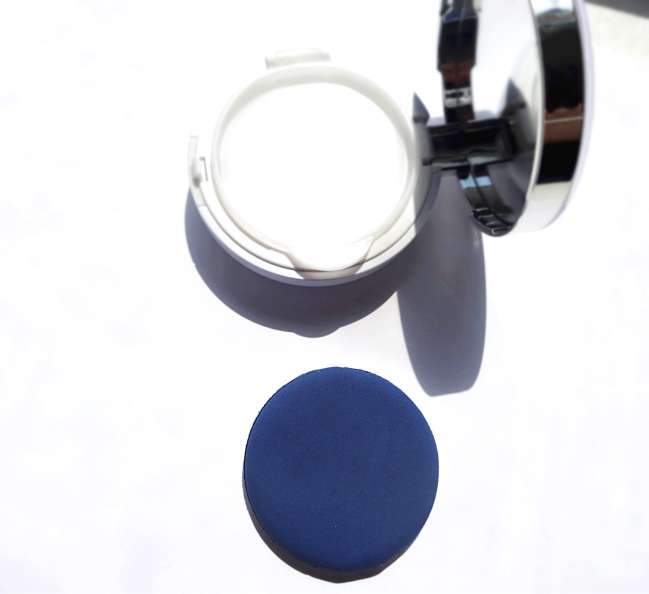 You have beautiful skin already and with the healthy dewiness this air cushion gives your skin, it is just perfect. I am loving this and have been wearing this non-stop for the past month or so. When I got this in an Asian makeup store, I was told not to wash the blue sponge as it would ruin it. But I washed it anyway and still does the job good. Haha thank you, Brenda. My skin is...ok but has tons of freckles and uneven spots. My camera blurs it so well that I'm happy with it. But this cushion compact does even out wonderfully and gives the nicest glow. Oh, so C~ also gives a natural finish. It is good to know! Hope you had a nice weekend. Wish you another great week ahead! Not for Cookies, LOL!!! This is perfect on you! You look gorgeous and the shade match is right one point. I'm glad there's a good retailer for Korean makeup in the US because I'm betting you're going to be buying a second one of these. HOW NICE that it comes with a REFILL! YES! This looks good, and you look great! But it's a mix of chemical and physical sunscreens, I am guessing? I am so curious about cushion ones, but then, I don't even wear foundation that much any more, so I really don't need to be poking around with all this stuff, lol! Actually, I read the ingredient list (written in Korean) and zinc oxide and titanium dioxide are the third and the fourth ones. I don't see any chemical blocker although I can't be so sure. No paraben, either. The coverage is sheer and it is ideal for sunscreen touchup, though. And NOT DRYING. The finish of this looks lovely on you. I've yet to try a cushion foundation, I think there are only 3 brands doing them in the UK so far and the shades seemed quite dark so hopefully more will become available as I really like the concept of these. I haven't really followed Korean makeup trends (some of them, I detest quite a bit) and felt even skeptical before trying this. Now I can't stop wearing it! I've been interested in trying these cushion type foundations and considered the EL one, but I should probably start with the original, huh? Usually, I prefer a fuller coverage but I've been exploring more medium and lighter coverages. Wow, yes, that is indeed THE perfect match for you, how great is that! Good to hear you like the formula! This really does look great on you! Love the glow there! I've been hearing so much about IOPE, and i really need to try it when I get a chance to!! Hey, I have really really pale skin and visible veins on my face, do you think I should get N21 or C21? I do want some coverage but I don't want the shade to mismatch my skin tone.